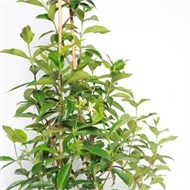 Chinese Star Jasmine is an evergreen climber or twiner with glossy, green leaves and vanilla scented, star shaped, white flowers. 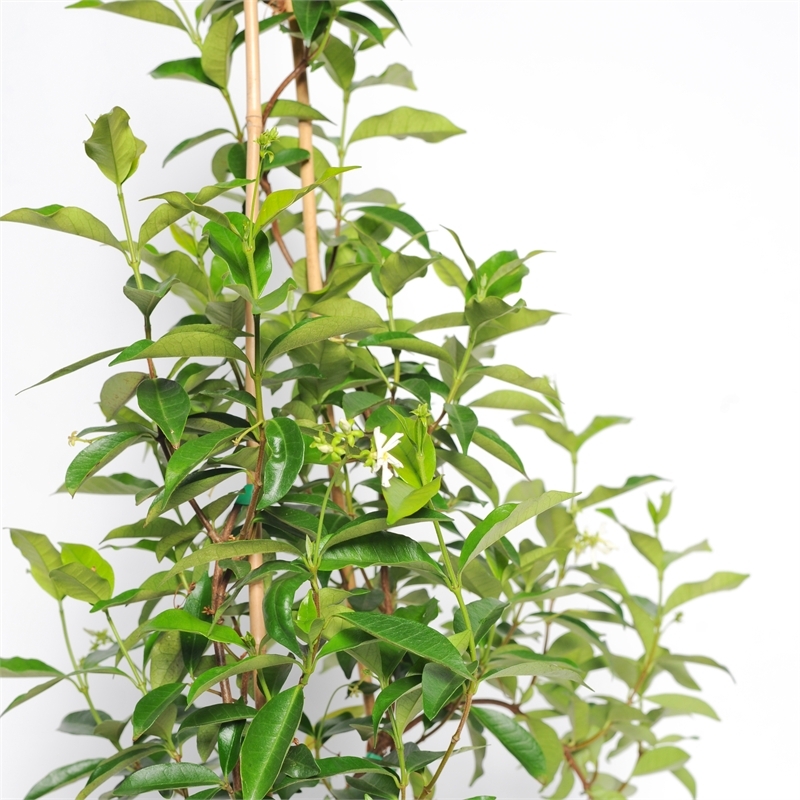 It is well known for its non invasive growth habit as it does not strangle other plants in your garden. 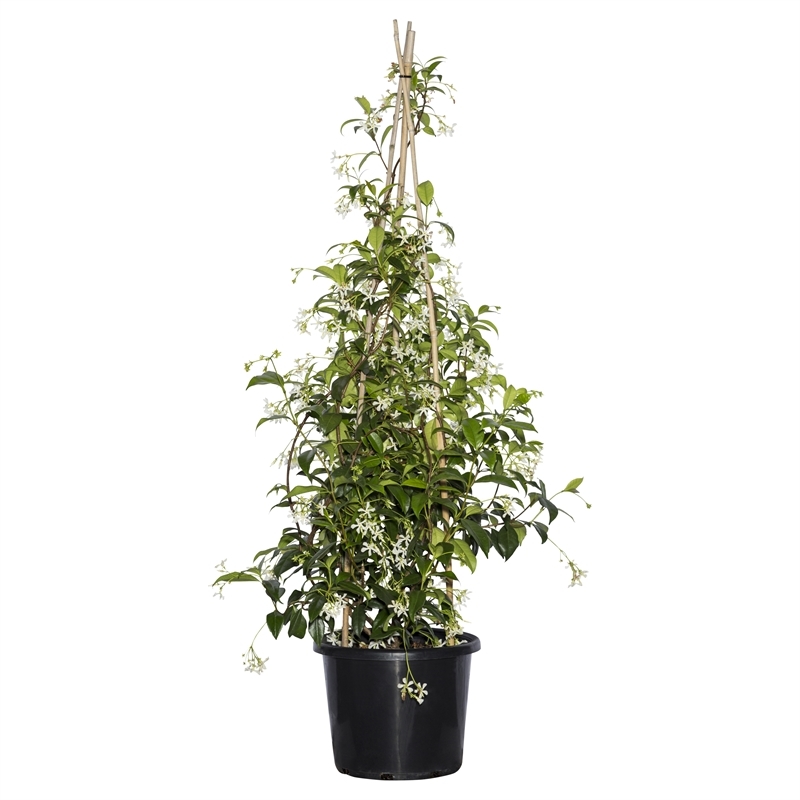 Whilst it can be also grown as a groundcover, it is best suited as a climbing plant and requires less maintenance than other vigorous climbers.